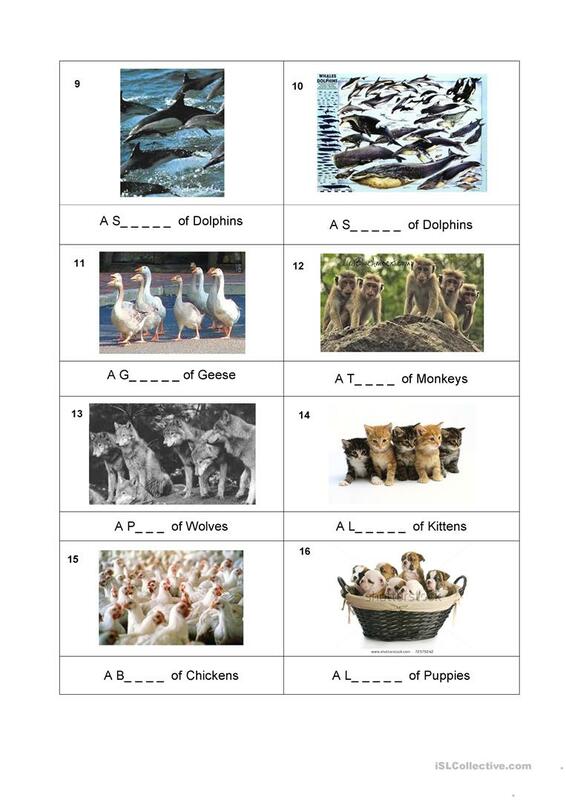 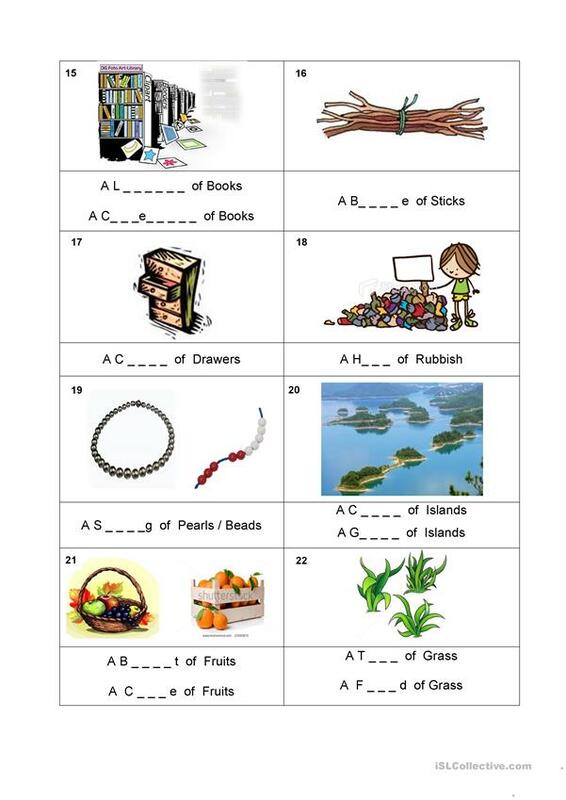 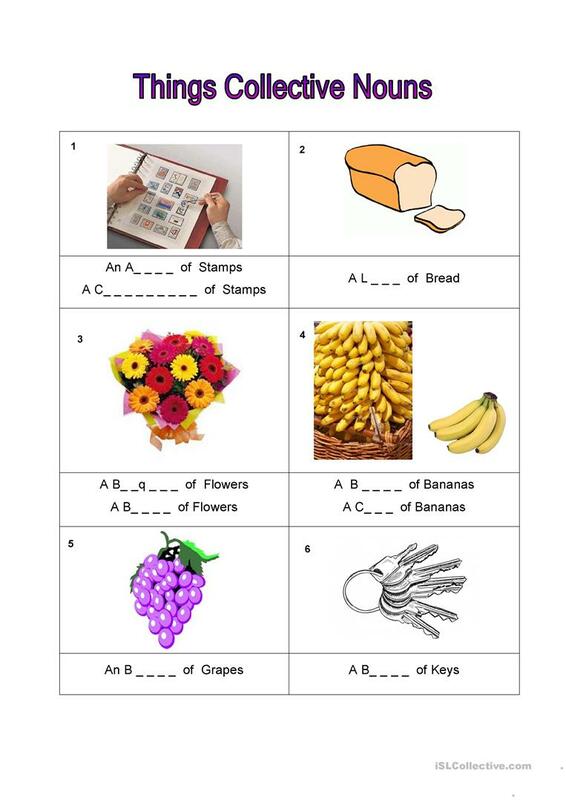 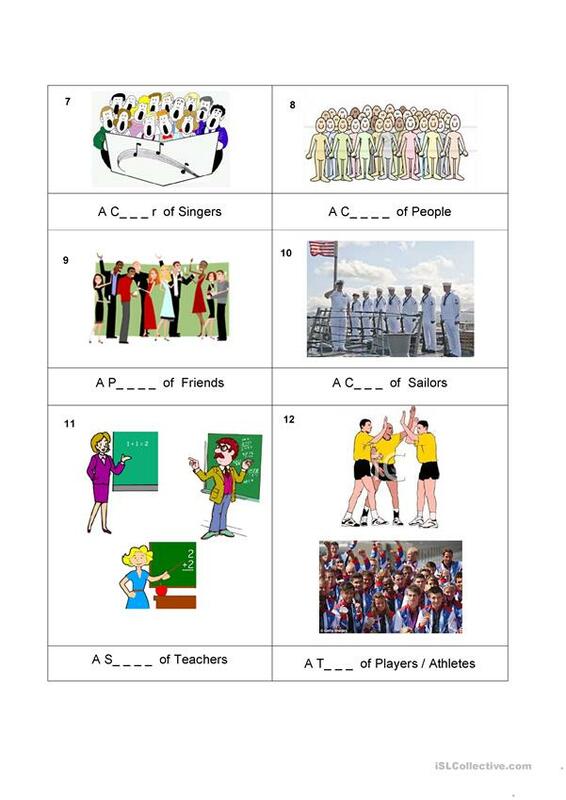 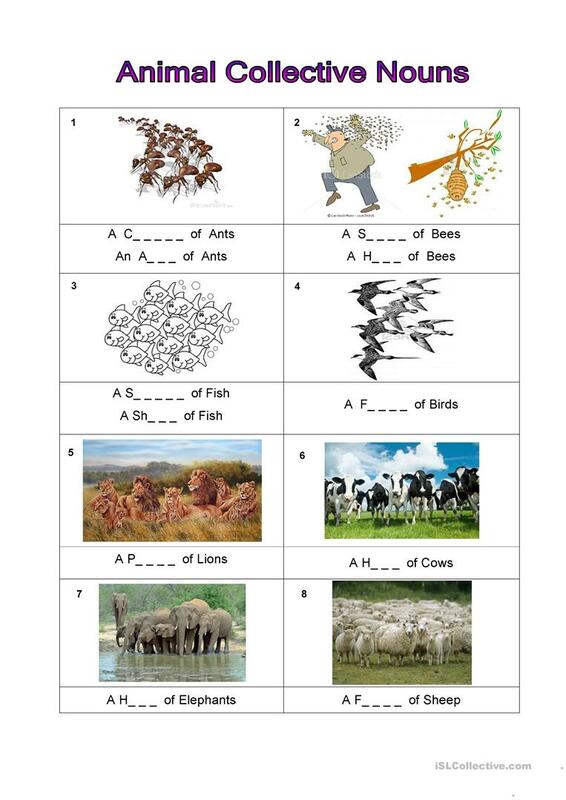 Collective nouns worksheet with pictures on animals, things and people. The present printable, downloadable handout was created for elementary school students at Beginner (pre-A1) and Elementary (A1) level. 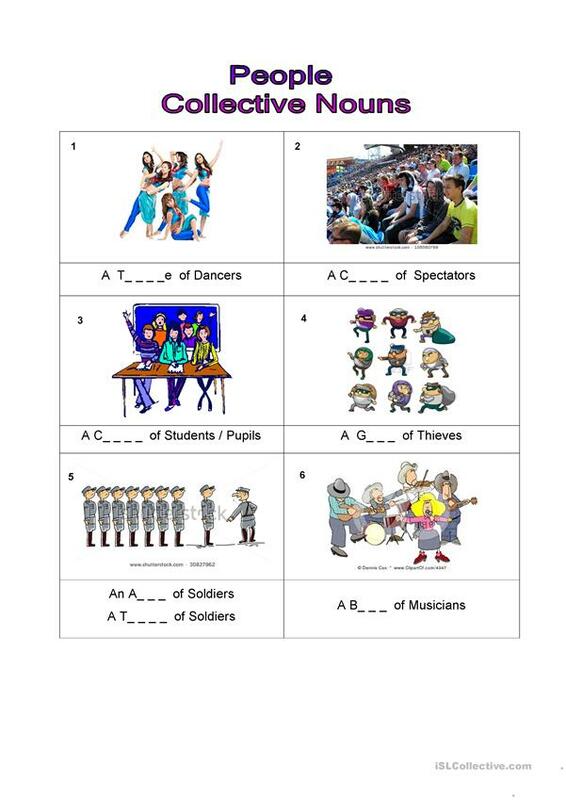 It is great for revising Nouns and Nouns: Collective nouns (team, class, family, committee) in English. 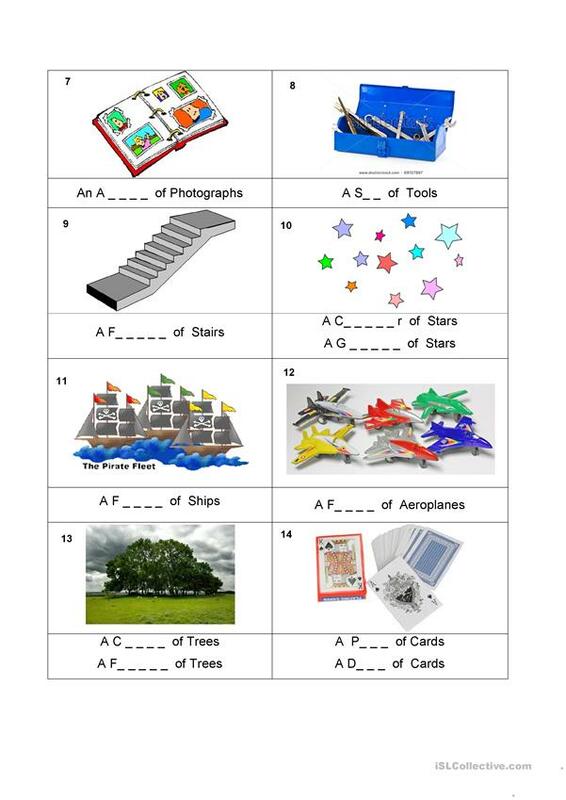 jolyn81 is from/lives in Malaysia and has been a member of iSLCollective since 2012-06-26 04:53:14. jolyn81 last logged in on 2019-04-18 07:35:33, and has shared 1 resources on iSLCollective so far.